My quilled wedding invitation and wildlife keepsake is a combination of the original wedding invitation and any of my wildlife designs. 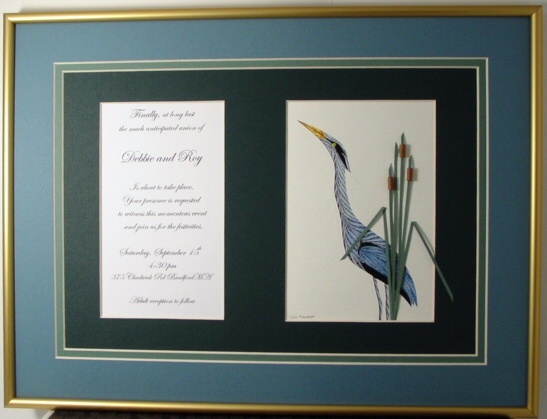 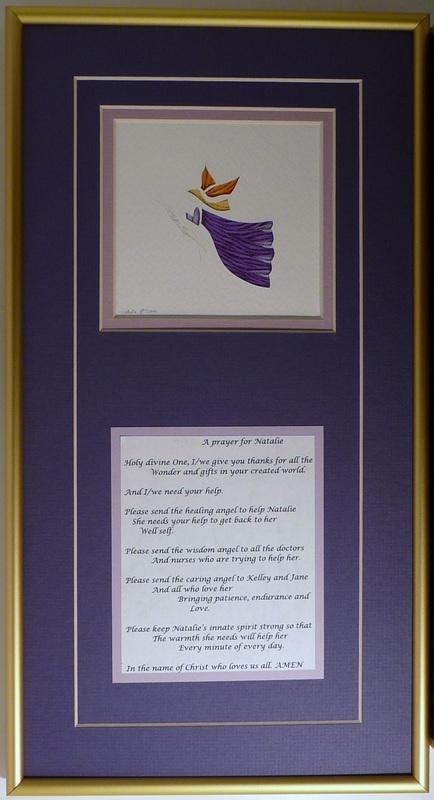 It comes double matted and custom framed under glass in a satin gold frame. 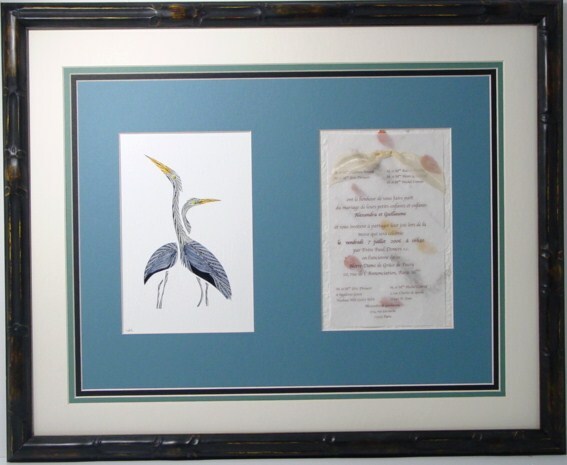 The choice of wildlife can be a duck, bird, wildflower, or other wildlife, and it can be chosen from my current designs or tell me what you are thinking. 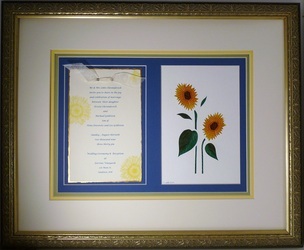 The satin gold frame may be replaced with a satin silver frame, or a black, dark red, or light oak frame for an additional $25.